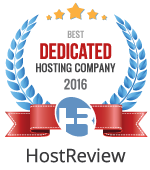 GlowHost has the best web hosting around. If you don’t agree, use our 91 Day Guarantee and get your money back. We also offer instant setup, so you can be online in seconds, not days. Join the GlowHost web hosting family today! Whether you’re a website pro or just venturing into the world, our website builder is for you. Hundreds of templates at your fingertips means you can have a site ready in minutes. Plans to fit every need! $1.50 / mo$12.00 / yr Try It Free! $5.95 / mo$59.40 / yr Try It Free! $12.95 / mo$131.40 / yr Try It Free! Semi-Dedicated Servers from GlowHost can be considered as a good transition before having your own dedicated server. These are made for web site operators that prefer to have the fewest sites per server competing for the same CPU and RAM resources. Each Semi-Dedicated Server “Slice” is a 1/30th share of a fully managed dedicated server. Our Cloud VDS servers come pre-configured and optimized for cPanel control panel. Cloud VDS hosting is perfect for small to medium sized businesses who demand the ultimate in high-performance, speed, stability and isolation from other sites not available on traditional VPS or shared hosting plans. You could also step up your game with our Enterprise VDS Cluster – our latest advancement in virtualization technology which allows you to have a fully redundant, High Availability (also known as “HA”), clustered cloud server solution guaranteed for five-nines uptime (99.999%) uptime. Reseller hosting packages are excellent for site operators who wish to have better control and access of their own web sites than what a standard shared or multiple shared hosting account can provide. Our cPanel reseller web hosting packages are fully managed, easy to control, and ease the administrative and accounting headaches that can come with managing many web sites. Dedicated Servers from GlowHost come in both Unmanaged and Managed flavors. Ready to get started? The GlowHost Team is going to make your transition to our company as easy and painless as possible. We have a specialized team who only deal in data migration and site transfers from other hosting companies. Are you an experienced server administrator? Our unmanaged dedicated servers give you the ability to manage your own dedicated server without the assistance or support that comes with our managed dedicated server packages. Our unmanaged dedicated servers come complete with root access and we load your choice of Operating System. Need a little more assistance and/or peace of mind? Our dedicated server management bundle includes proactive response to server issues which include performance turning, service reconfiguration, IP filtering, uptime monitoring, security hardening, hardware replacement and reboot should the need arise. thing of the past. Please select one of our best SHOUTcast server hosting plans below. Whether you’re looking for a quick un-managed server build or a fully-managed 24/7/365 proactively monitored powerhouse, GlowHost has you covered. Need something a little more than a single box? We specialize in complex server clusters and can even setup and configure redundant points of presence for your web site in geographically separated datacenters so that there is no single point of failure. Whatever you need, we’ve got you covered.